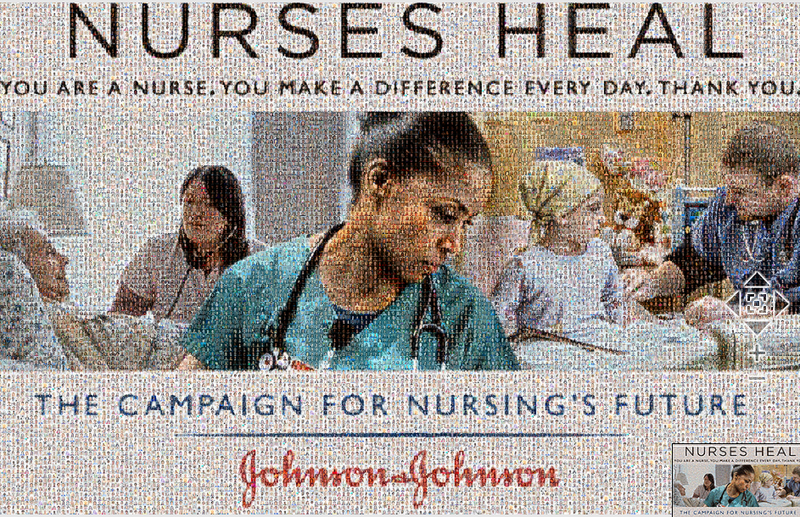 On the occasion of the 10th anniversary of the Campaign for Nursing’s Future, Johnson & Johnson’s launched an online project called “Portrait of Thanks Mosaic”. The project consisted in creating a mosaic with photos of nurses and nursing students, in line with a national campaign that honored nursing. The mosaic, which solicited nearly 10,000 photos collected over a year, aimed at celebrating the efforts and dedication of nurses, as well as encouraging and inspiring the next generation. Nurses from many U.S. cities proudly participated in the project, representing more than 30 specialties. It is worth mention that for every photo submitted, $1 was donated to the Foundation of the National Student Nurses Association (FNSNA), to help fund nursing student scholarships.